ACGautomotive is honored to be the preferred installation facility for AMS “ALPHA” line of packages for the Nissan GTR. This is the basic upgrade package for GTR applications. It produces 600 horsepower on pump gas. It opens the gate to an easy upgrade to Alpha 9 in the future if desired. 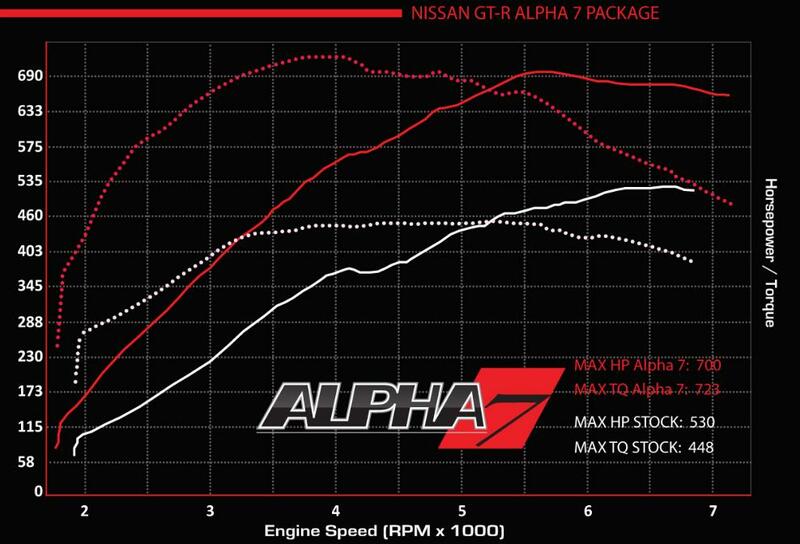 The Alpha 7 is the package for you if you want the maximum horsepower without changing the turbos. Making a reliable 700hp on pump gas, this package is a great option to ease into the Alpha line, while still opening the gateway for further modification down the road. This package is our special utilizing FULL AMS ALPHA bolt on upgrades. This is the ultimate on stock turbos and your choice of fuel, setting you up perfectly for an Alpha 9 upgrade in the future. 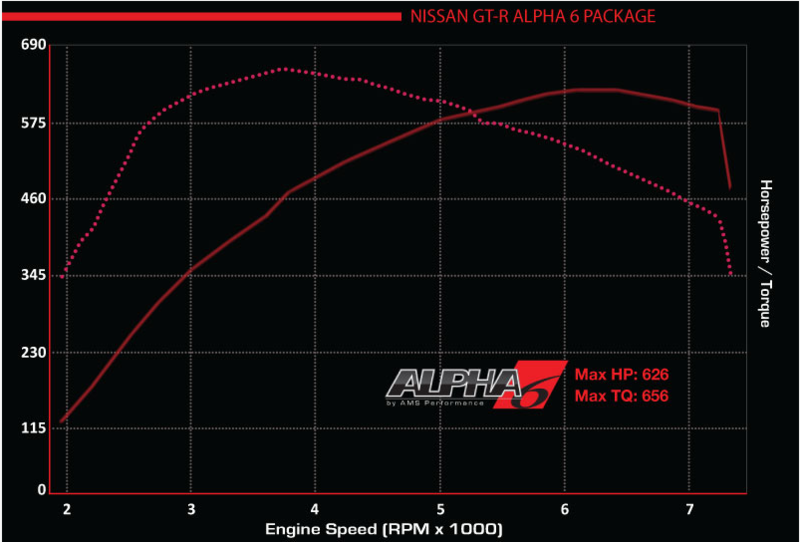 The Alpha 9 package is our most streetable package for the GTR. It gives you breath taking power and performance while maintaining stock drive ability and reliability. 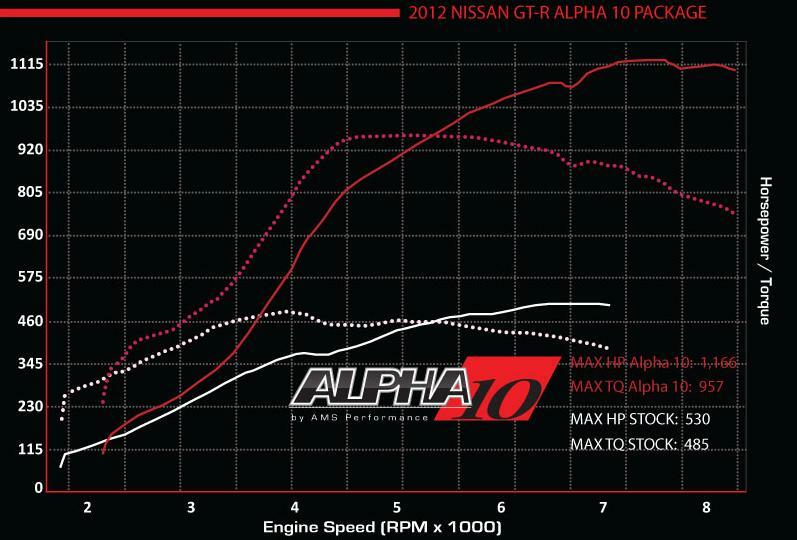 The Alpha 10 package offers up the next level of power for the GTR. 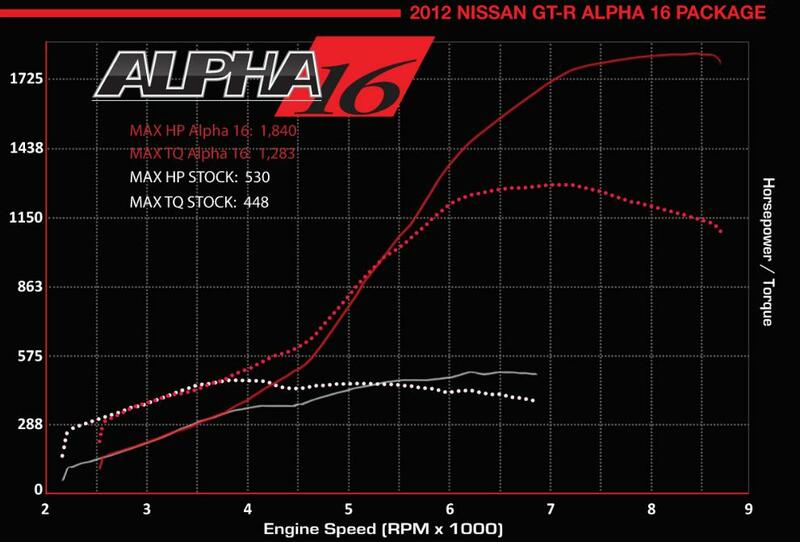 The alpha 10 package finally breaks the elusive 1000 wheel horsepower mark. With an astounding 1000 horsepower at the wheels the Alpha 10, not even the Bugatti Veyron stands a chance. The alpha 12 package is the ultimate daily driver. 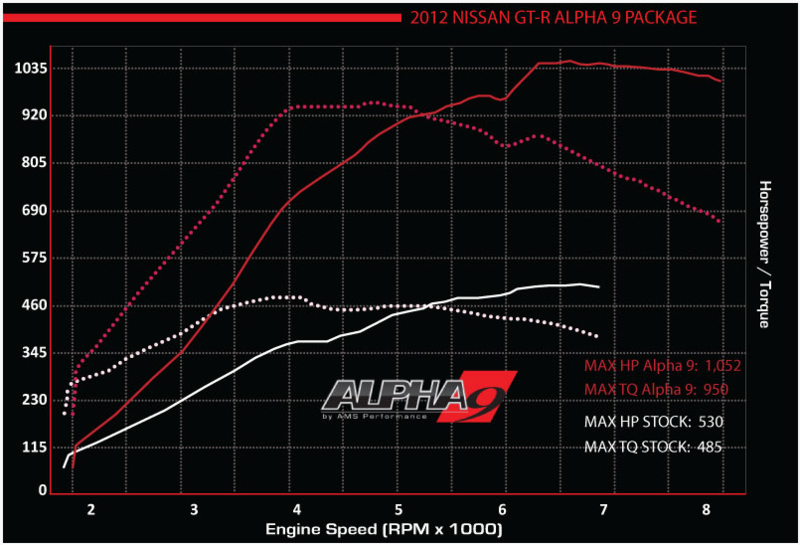 The Alpha 12 package maintains an almost stock drivability and livability with up to three times the power of the stock GTR. 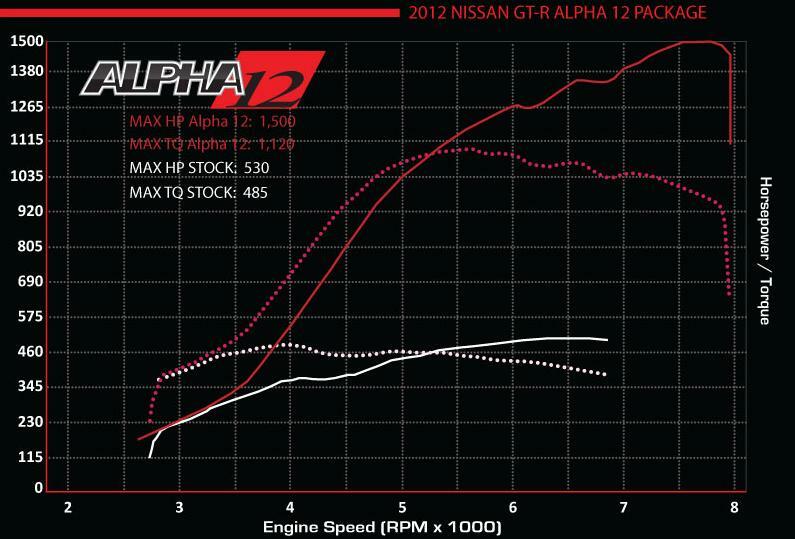 The Alpha 12 package is capable of 1500 Horsepower. When an alpha 12 just isn’t enough, we offer the alpha 14 package. capable of up to 1400 wheel horsepower, the alpha 14 will make most dedicated drag racing cars cry. 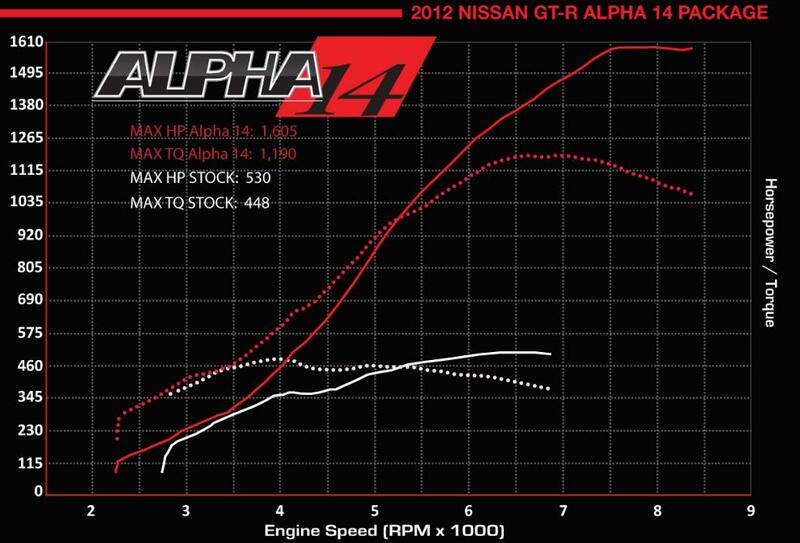 The alpha omega is the pinnacle of GTR performance. The omega package is capable of producing 1600 horsepower at the wheels.